Kebab is a very popular Middle Eastern dish, but did you ever hear of Kufta? 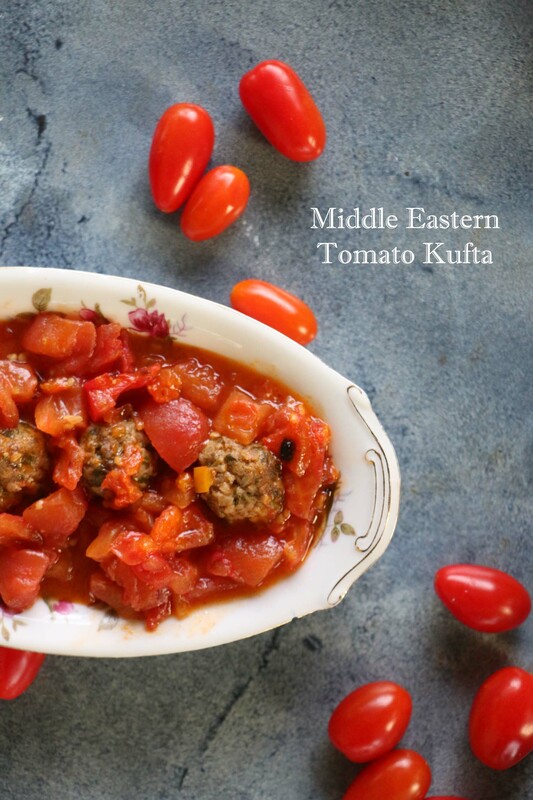 Kufta stands for Meat balls in Arabic. A very general dish. It is served almost everywhere around the world only with the different types of flavoring depending on the food culture of the country. Beef with curry sauce, Beef with coconut sauce or Orange sauce, Meat Balls, Beef stew, Kebab, Souvlaki…. In the Middle East, Meat balls are popular, but we know them as Kufta or in other Arabian accents Kefta, Kafta, or Kofta. They are made very similar to how the Kebab are made, only cooked a little different and garnished with different flavors. You can have a Middle Eastern Kufta with tomato sauce, tahini sauce, or pomegranate molasses. 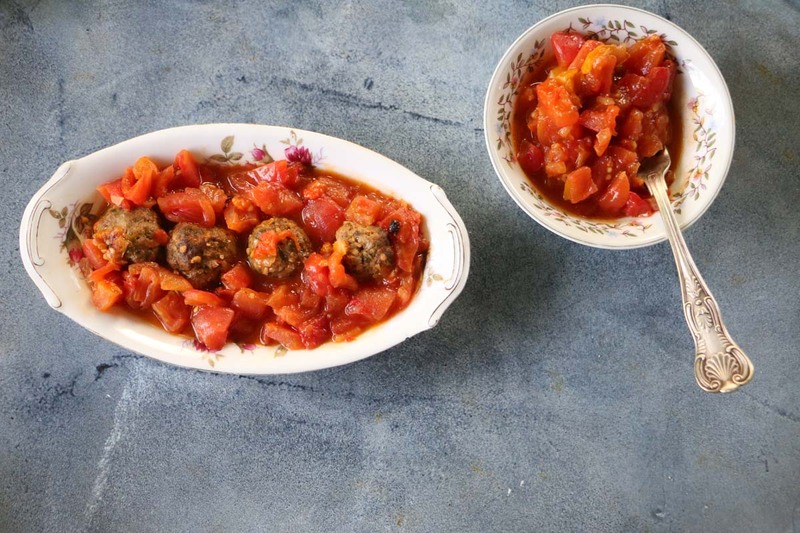 Today, I will be sharing with you the very original common “Kefta bil bandoura” which stands for Kofta in Tomato sauce. Some people like to add potatoes and red pepper, some people like to add eggplants and onions. But today, my talented mother and favorite chef in the world decided to only concentrate it with fresh tomatoes. Enjoy the recipe, and have pita bread handy for this dish can be eaten by fork or with bread. Cut the onion into small pieces and place into an electric mixer and blend to make the onion soft. Add in to the mixer the parsley and mix very well. Now add in the ground beef, burgol, 1/2 teaspoon of salt, pinch of black pepper, ground cinnamon and mix again. In a cooking plate, add sunflower oil, the chopped onions, shredded ginger and add to oven for 20 minutes, until the onion is cooked and is yellow. Meanwhile, start forming your meat into balls using you hands. Add the balls over the onions and return to oven for another 40 minutes. 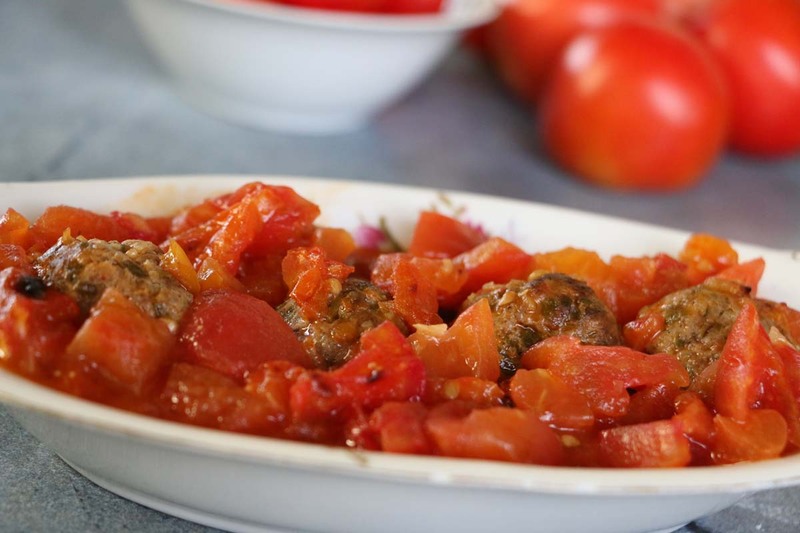 While your Kofta “Meatballs| is being cooked in the oven, place your tomatoes in a bowl filled with boiling water. Set aside for 10 minutes until skin goes soft. After 10 minutes, start peeling of the skin from the tomatoes and cut it into squares as you remove the seeds from inside each tomato. 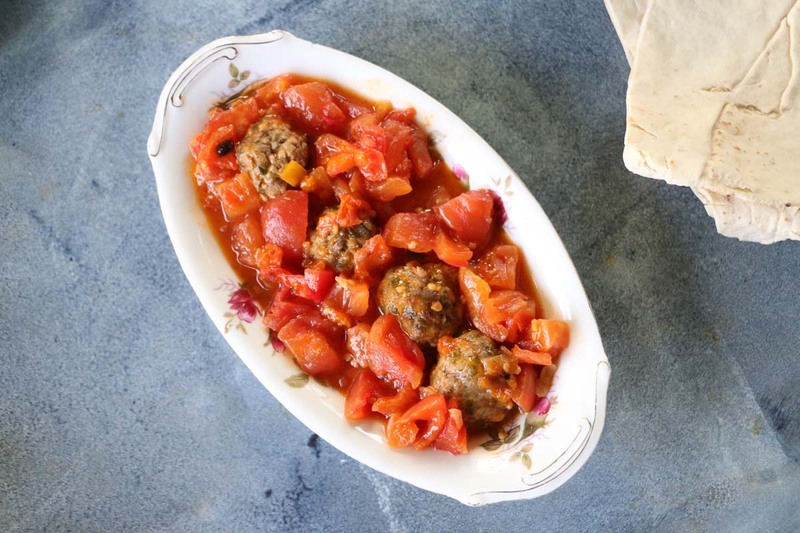 Once your Kofta is ready, remove from oven and add the tomatoes on top along with, 1/4 of the onion soup powder, 1/4 teaspoon of salt, 1/2 teaspoon crushed red pepper or sliced green chili and mix everything together. Cover your cooking plate with aluminum foil and place back into oven for another 30 minutes until your Kofta is golden and barbecued. 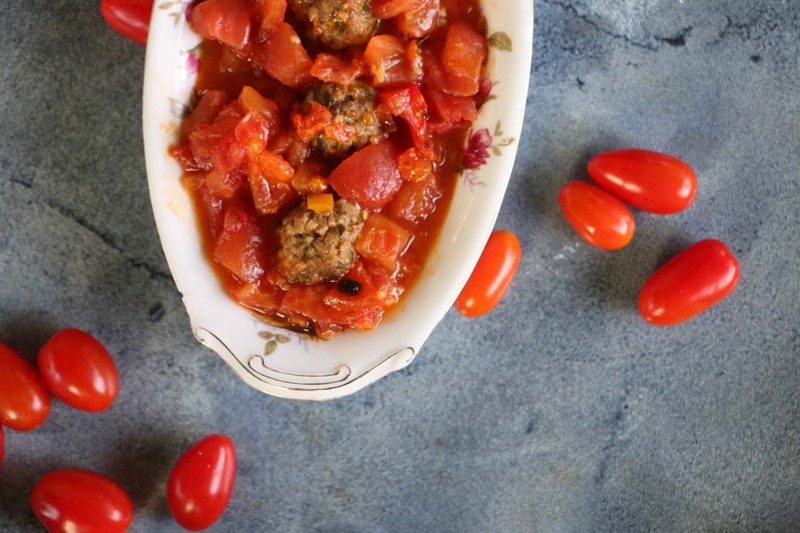 You can garnish your Kofta with roasted pine nuts.